B & B ORGANIC, ECOLOGICAL and ECOSUSTAINABLE … why? In 2011 we discovered an old country house abandoned for more than 30 years. The vegetation, the animals had done it by invading all the spaces, inside and outside. This explosion of life and the surrounding landscape made us fall in love. There was no viable road, no electricity, no running water. At the first thought of immersing ourselves in this eden followed the first questions… how to make it our home without invading and spoiling everything beautiful we had discovered? The answers, the best possible, came gradually and thanks to many tips, both from friends and experts, and from those who lived in these places in their youth and now populates the hamlet of Secchiano further downstream. 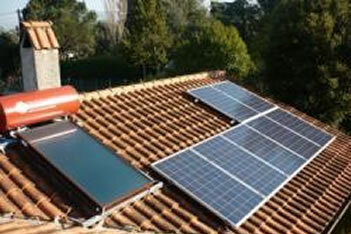 Giovanni suggested that we rebuild a portion in wood and straw and many other solutions with materials in green building, Massimo to use low lights and LED outside (which is why some guests turn on their phones at night to make their way) and install photovoltaic panels and a heat pump avoiding the connection of gas. Daniela and Danilo came to make the plasters with natural materials and without chemicals, Fabio and Alessandro wooden furniture recovering everything we found inside the house. As time goes by, many eco-sustainable solutions have been adopted at SassoErminia to monitor and reduce the consumption of water, energy, waste and chemical materials, as well as initiatives of social responsibility and all the reasons that make the stay a common commitment to the conservation of our environment….we report below the main ones. SassoErminia is the first Bed and Breakfast completely eco.sostenibile, built by renovating an old country house with green building techniques including wood and straw that, together with the use of natural plaster, ensures a comfortable indoor environment.